Blog Google Cloud What are the Google Cloud Platform Services? What are the Google Cloud Platform Services? Google Cloud Platform is a part of cloud computing services offered by Google which is a public domain. It tracks the same frame which Google uses for products that are widely used by the end-users such as Google Search and YouTube. A collection of hosted services for compute, storage, and application development that run on Google hardware come under this platform. 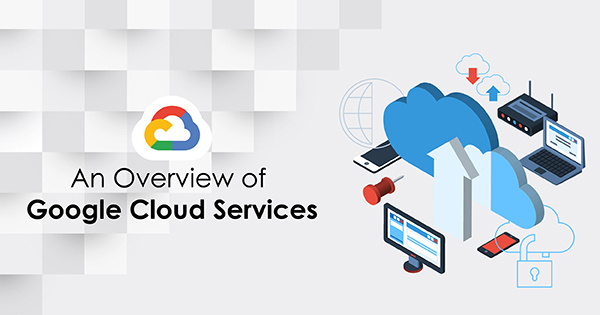 Software developers, cloud administrators, and other enterprises IT professionals can access Google Cloud services through the public web or a dedicated network connection. Also read: What are the Google Cloud Trends for 2019? Google Cloud Platform has its various services based on a few key points: Computing, Cloud Storage and Databases, Networking, Big Data, and Machine Learning. So, let’s dive deep to have a detailed overview of Google Cloud Services under these domains. Computing is one of the key factors at which Google Cloud Services depend upon. Some of the services under Computing are Google Compute Engine, Google App Engine, Google Container Engine and Google Cloud Functions etc. Let’s brief all the services in their respective order. Originally introduced by Google in April 2008, it became publicly available in November 2011. Google App Engine is an App Management Platform which is used to manage the application platform. It is also used to create web applications. Google App Engine supports users to build and host applications which use the same systems that are used to power Google applications. In return, it gives fast development and deployment, simple administration, with no need to worry about hardware or backups; and provides effortless scalability. With this Google Cloud Service, Google controls all the management part such as resources used by the user. It means if an app requires an update, It will automatically indicate the requirement and handle all the updating part. Google Compute Engine is also a key service among the list of best Google Cloud Services. It offers hosting and computing both parts as well as it provides flexible virtual machine computing capabilities. To achieve more flexibility and control, you can also build your own infrastructure using Google Cloud Services which is a cloud-based infrastructure. Google Cloud Computing is not different from Serverless computing. A Google Cloud Certification helps to demonstrate your knowledge and expertise on Google Cloud Platform. Read our previous blog to know more about Google Cloud Certifications. Instead of integrating to computing, Google Cloud Services has its own Google Container Engine which is also called Google Kubernetes Engine. It supports users to execute containers on the Platform provided by Google. It is built as an open source system which gives flexibility to the Cloud Infrastructure. For secure and private storage, GCP Services provide Google Container Registry which is computing on Google’s infrastructure. The Registry can be accessed by Own Hardware and an HTTPS point. With Google Cloud Functions, you don’t need a server to execute cloud services. 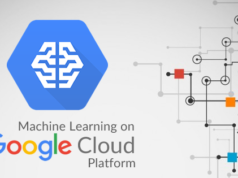 ETL operations like Extraction, Transformation, and Load can be performed easily in Google Cloud Compute Engine. You can also solve large analytical problems on Google’s Computing Infrastructure. It also supports backend functions that can be done in a cell phone. Google Cloud End Points can be used to generate APIs in the standard environment. End Points make services easier for web and mobile users like IOS and Android. Cloud Storage and Databases are also considered as one of the key factors in Google Cloud Platform Services. Some of the services under Cloud Storage and Databases are Google Cloud SQL, Google Cloud Spanner, Google Cloud Storage, and Persistent Disk on Compute Engine etc. Let’s brief all the services in their respective order. A fully SQL database offered by Cloud SQL which is a relational database to store data. It allows users to perform all the operations like create, manipulate, and use. It also allows users to maintain and manage the respective database in a good manner. Google Cloud SQL service can be an MYSQL database on Google’s Infrastructure. A fully managed transactional database with strong consistency and high availability is provided by Google Cloud Services in terms of Google Cloud Spanner. It also offers Schemas, Queries, and Replica. Google Cloud Storage is a key service offered by Google Cloud Services. It is a service where users can store and access their data. It also provides a localized location to store the data along with the high availability. These are the two options which do not support the SQL along with the relational database. They store data in a structured way. Bigtable is also used to execute queries in a very large database. It is a high-performance Google Cloud Service. The persistent disk contains mainly two type of storage. One is Hard disk-based disks (HDD) and another one is Solid State Disks (SSD). They both are used for primary storage. It is beneficial because it can be attached to any instances in Computation. Google uses its infrastructure to publish and maintain the DNS (Domain Name System). A user can also use the same criteria which Google uses. Google Cloud Console is also used to work with DNS records. Google Cloud Interconnect is an interesting Google Cloud Service provided by Google. By using this service, you can actually make a connection between your network and Google’s. You can also share your network’s traffic with Google as well as vice-versa is also possible. Cloud VPN (Virtual Private Network) allows users to connect with Compute Engine through an IPsec connection. You can use this network to connect a number of compute engines to each other. A fully managed data warehouse and analytics used to store big data are provided by Google Cloud Platform. It supports APIs, CLI (Command Line Interface) and Web UI. It also manages data and creates custom tables. Some other operations like export, copy, and load are also feasible in Data Analysis. If you want your application to send messages, then there is an asynchronous messaging service which can help you. Amongst all the Google Cloud Services, this is the one, which is independently working on itself without being attached to big data. It is a managed data processing service to support ETL and other computations. It also performs streaming data processing tasks. Google Cloud Services has a unique feature i.e. It supports AI. It means you can also build your own network/infrastructure using Google Cloud Platform. There are different APIs which provide the solution required. Translation means translate text from one language into another. Google Cloud Translation is a Google Cloud Service which helps translation via API provided by Google itself. It can be used programmatically in Web Pages and Applications. Google Cloud Vision API helps users to perform operations like Image detection, OCR (Optical Character Recognition) and Face Detection. Users can easily integrate with the API. Google Cloud Speech API converts speech to text. It is an API which converts audio into text. If you want to add sentiments or detect sentiments in the given text, then you must use Google Natural Language API. It also helps users to add Content Classification. 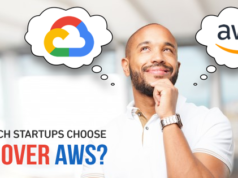 If we compare Google Cloud Platform and AWS, AWS certainly is the pioneer of the cloud computing services but it has some drawbacks. Being one of the key players in Cloud Computing, many of the services provided by AWS are niche-focused. Five years ahead of other popular cloud service providers, AWS leads to firm inconveniences and disadvantages. It also can be exploited by the competition. Fundamentally, the utter amount of AWS services is irresistible. In comparison to AWS, Google Cloud Platform is tallying new product to its Product Portfolio while AWS does offer the excess of services, out of which many of the services are niche focused. So, Google Cloud Platform is competing with AWS in a good manner. Cloud Efficiency is represented by the registration fee along with the subscription of the services. If we compare the Cost Efficiency of Google Cloud Platform and AWS, we find that AWS provides a long-term subscription which is minimum one year. If you are looking for benefits or renewal of your subscription, you can’t get the same in AWS. But in Google Cloud Platform, the minimum subscription is only one month and if you are looking for other benefits, you can avail the same easily. You can also use the Google Cloud Free Version. In Google Cloud Platform, You have to register yourself and it takes only a credit card details or your banking details. In return, this platform provides Infrastructure, Platform, and Computing environment. Similarly, Latest Technology Learning Products are also all about the new products which Google is introducing to the users. App Engine was introduced by Google in April 2018 which became available in November 2011. Since then, Google has added a lot of products/services to their Product Portfolio. In comparison to AWS, Google Cloud Platform Pricing is per second billing. There is no upfront cost required. If you want to stop your services at any moment, you can do it easily. They will never charge you from that second. You can also change your subscription to the Google Cloud Free Version. It’s a prime key point in Google Cloud Platform Pricing. Google is the name that people all over the world trusts for years and in return, Google works hard to keep and maintain this trust. With Google Cloud Platform, you get confidentiality and traffic safety of your data. As per the latest report and the released official statement “Google intends to make Google Cloud Platform (GCP) the most secure Cloud Platform”. Registration on Google Cloud Platform is much easier than other platforms. Just Signup with your Google Account, then, go to the Google Cloud Console. Select your desired Project and Activate the services you required. Google Cloud Login is also easy, It only consists of a few steps. Just Go to Google Cloud Connect and enter your details. After entering your details, Just hit enter. You are on the Google Cloud Login page. Now you can enjoy the top Google Cloud Services by availing them. These are all the GCP services provided by Google. Hope you find our content suitable. So, these are some factors which make Google Cloud Platform (GCP), a preferred cloud service provider over AWS. Besides, Google is aspired to make GCP most secure Cloud platform. However, the GCP has very less market share as compared to AWS but its growth rate is much faster than AWS. Google as a cloud service provider i.e. Google Cloud Platform is growing at the highest speed which, in turn, is increasing the demand for Google Cloud professionals. So, if you are thinking to build a career in Google Cloud, here comes a number of opportunities for you. 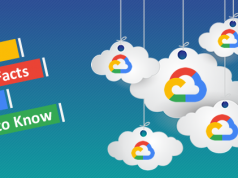 Getting started with Google Cloud Platform Tutorial, Google Cloud has already provided its tutorials where you can easily learn how to use the Google Cloud Services. Google Cloud Platform Tutorial are easily available and anyone can search them in Google Search Engine. Being certified will help you validate and demonstrate your experience and knowledge on Google Cloud Platform. If you’re intended to become a Google Cloud Architect then you can prepare with Google Certified Professional Cloud Architect practice tests. Read on and expand your knowledge on Google Cloud Platform.